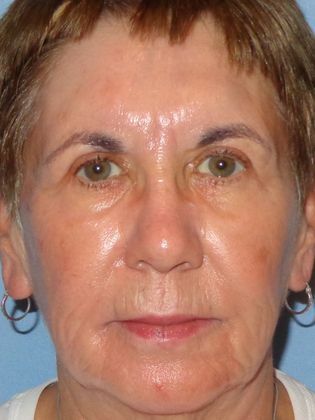 This 66-year-old Sun City woman was thrilled to learn that insurance could help with her upper eyelid surgery, and not only make her appear far more youthful, but also help her vision improve. The patient chose Emilio M. Justo, M.D., for the outpatient surgery and is thrilled with her new appearance and dramatically improved vision. 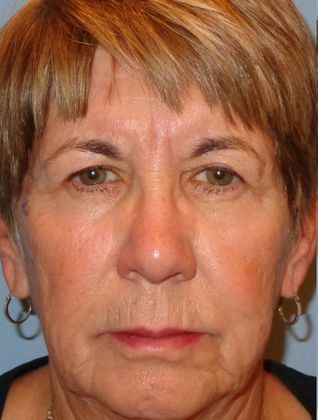 The patient continues to visit the Arizona Eye Institute to maintain her youthful look, including with fillers and Obagi skin care.